Isn’t life always in a rush anymore? And especially since school has started and all the activities that just fill up anyone’s calendar. Even though we don’t have children in the home anymore, there are grandkids that we must go and watch all their activities. Right now it’s sports. Soccer, softball, and football. And frankly, I don’t want to spend a lot of time in the kitchen making dinner before we go. Hubby and I don’t like to eat out that much and knowing that I can still make something quick with no artificial flavors and preservatives and stay on budget will always be part of my kitchen. We both love a recipe that’s hearty with tons of flavor and Manwich Bold fits that bill. There are 2 other flavors called Original and Thick & Chunky. 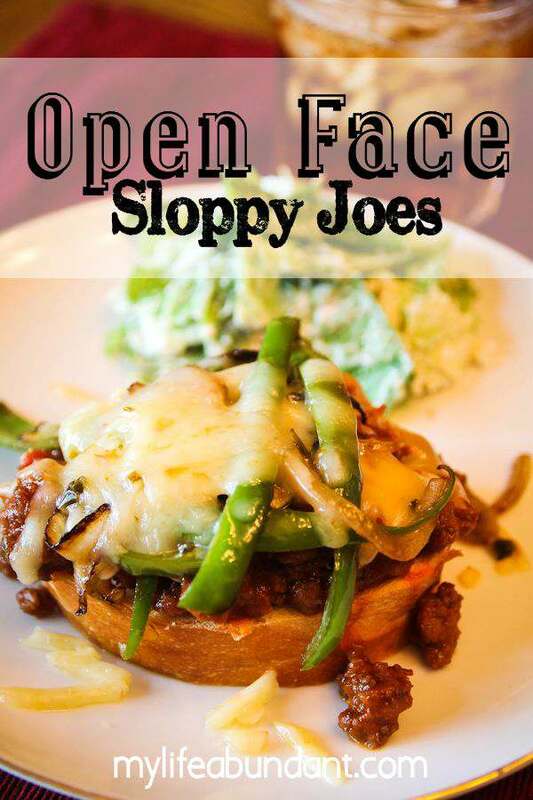 We love these Open Face Sloppy Joes and they are so easy to make. 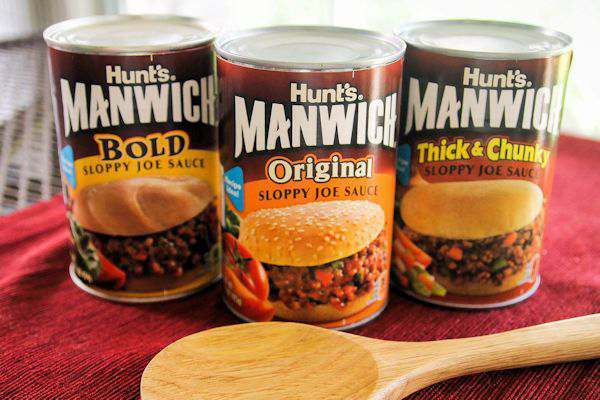 The grandkids love the Original flavor of Manwich and they prefer to have it on a bun. The messier the better for them, but Hubby and I consider this recipe the adult version. Slice thinly some green peppers and onions and brown them in a skillet. I cook them just enough until they are wilting a bit. Remove from skillet and set aside. Then I brown 1 pound of ground beef until done and add 1 can of Manwich Bold. Stir until mixed well and starting to bubble. Turn down the heat and simmer for about 10 minutes. 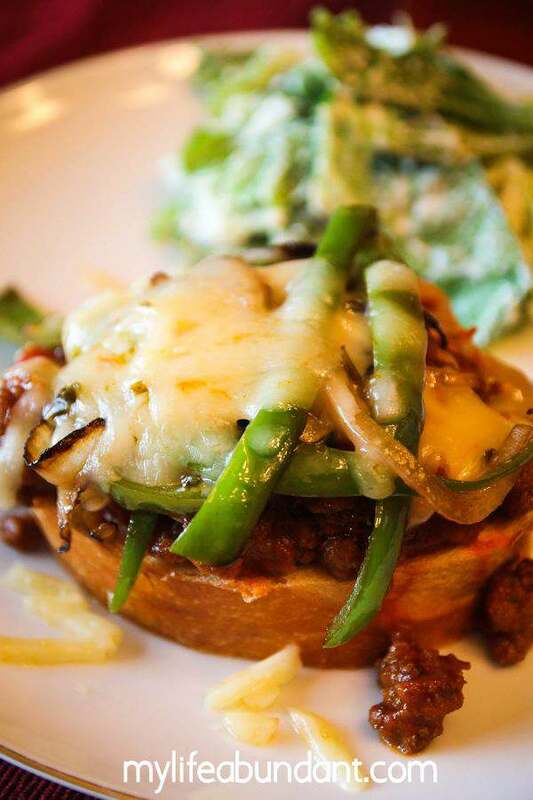 I slice French bread into 1 inch thick slices, top with Manwich beef mixture, layer some of the cooked green peppers and onions and then add some shredded Monterey jack cheese with jalapeno peppers. I love that little bit of extra heat from the cheese. Serve with a salad and you have a great hearty meal for those busy weekdays. My hubby just loves this recipe and when he tells me its a “keeper”, then I know I hit the spot with his taste buds. I love cooking meals I know he will love just as much as I do. You can do so much with Manwich Recipes for those quick Easy Weeknight Meals. I love the recipe for sliders using the Thick & Chunky version to have at football parties or tailgating or how about making sloppy joes over spaghetti. So be sure to stop by their website for more information and some really good meal options. How do you love to use Manwich?